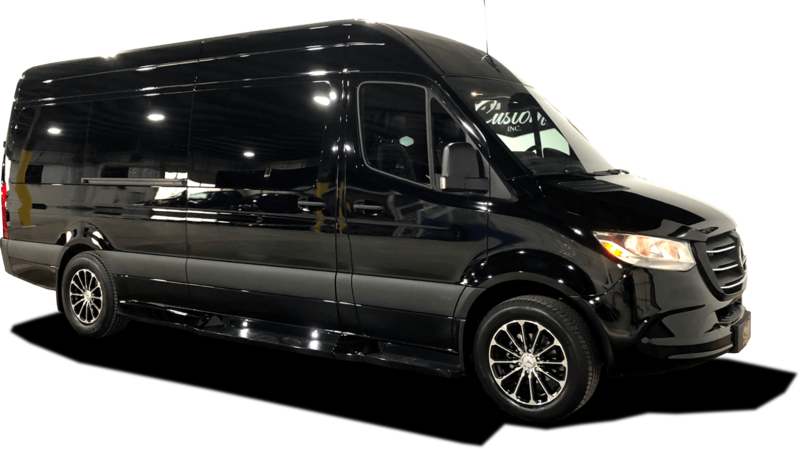 The First Class Customs Inc. Business Class Sprinter. The Ultimate in Mobile Office Solutions! Every convenience of the office on the go. Customized features with Executives in mind! (6) Black Halo Ultra Soft Touch Leather High Back Top of the Line Captain Chairs with Bentley Stitching. Rear Bench seats (3) Driver & Co-Pilot Seats Recovered to Match Color of Rear Seats.